The action delivered in bunches last night (Sat., Nov. 17, 2018) at UFC Fight Night 140 live on FOX Sports 1 from inside Parque Roca Arena in Buenos Aires, Argentina, as Santiago Ponzinibbio gave the home crowd what they came for and finished Neil Magny with one punch in the fourth round of their main event. In addition to Ponzinibbio’s titanic knockout, Ricardo Lamas put a bloody stop to veteran Darren Elkins, light heavyweight newcomer Johnny Walker brutally finished Khalil Rountree via elbow, Cynthia Calvillo returned from her suspension to choke out top prospect Poliana Botelho, Marlon Vera submitted Guido Cannetti in a flip-flip affair, and a blistering back-and-forth war between welterweights Laureano Staropoli and Hector Aldana took the “Prelims” by storm. For complete UFC Argentina results and coverage click here. UFC ‘Buenos Aires’ Odds, Under Dogs And Best Bets! 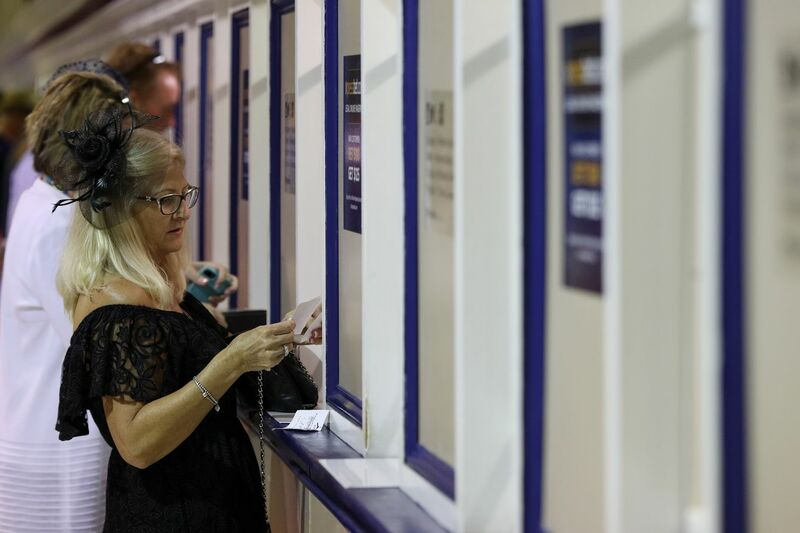 Get a detailed breakdown of the betting lines for UFC Fight Night 140, which is set to hit Parque Roca Arena in Buenos Aires, Argentina, this weekend (Sat., Nov. 17, 2018), including best bets, underdogs, favorites and much more! Ultimate Fighting Championship (UFC) makes its Argentina debut this Saturday (Nov. 17, 2018) with the country’s brightest mixed martial arts (MMA) star, Santiago Ponzinibbio, at the helm. The FOX Sports 1-televised main event pits “Gente Boa” against Neil Magny in a fight that could have title implications in the crowded Welterweight division. 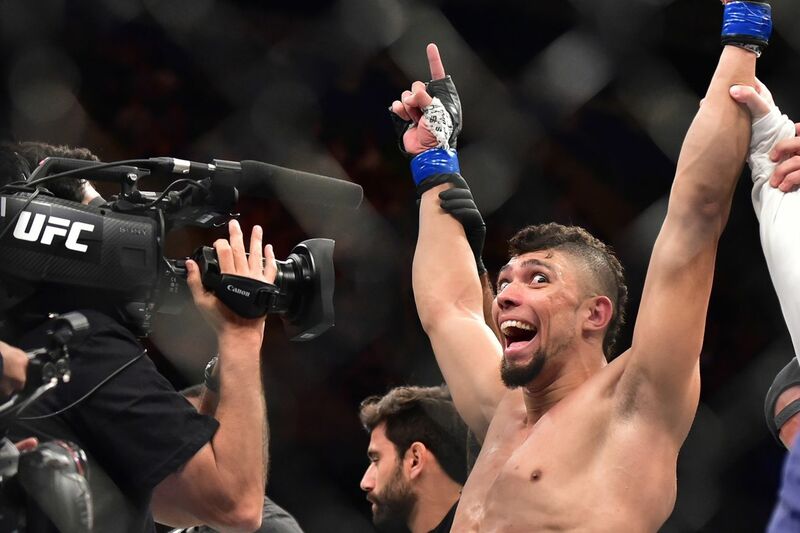 Twenty-five pounds south, veterans Ricardo Lamas and Darren Elkins duke it out, while the resurgent Khalil Rountree Jr. welcomes Brazil’s Johnny Walker to UFC’s Light Heavyweight division. This flurry of UFC events can be exhausting, but I’ve found that nothing bolsters your spirits quite like winning money. Let’s get some! 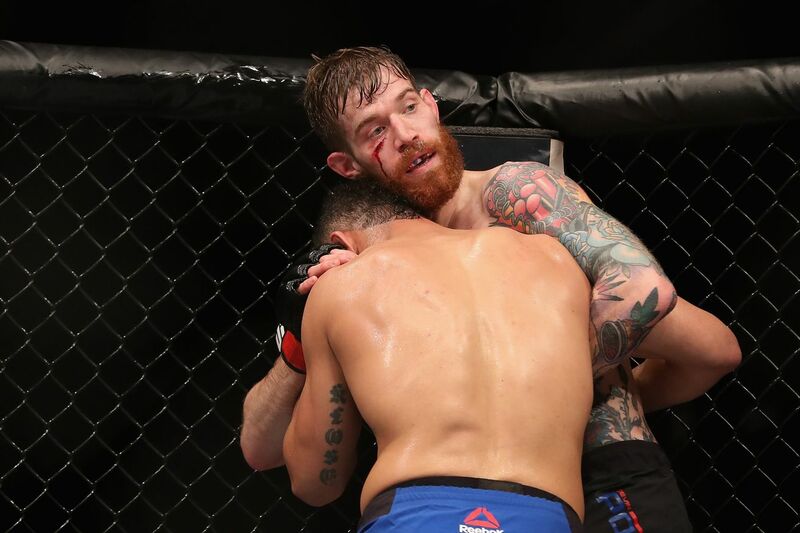 What Went Wrong at UFC Fight Night 139? Raquel Pennington was just completely cowed by Germaine de Randamie. To win that fight, she had to be constantly moving forward and setting up her takedowns. Instead, she sat at range against a lengthier woman and showed no nuance in her takedown entries. I’m not sure if she’s fully recovered from the beating she took against Amanda Nunes … or if she ever will be. On the bright side, we still turned a slight profit thanks to Mark De La Rosa and Beneil Dariush. Small victories are still victories. Thoughts: I don’t think being adventurous is the right course of action here. Start with Nad Narimani and see who you can parlay him with to get some reasonable odds. Anderson “Berinja” is legit and well-traveled, but he’s also smaller than Narimani and outclassed in his area of expertise. His style is entirely dependent on his wrestling, an area in which Narimani has him outclassed, and I don’t see him catching anything in transition against the Cage Warriors vet. Unfortunately, nobody is really standing out to me as a safe parlay filler. Maybe Michel Prazeres? Fabinski is as one-note as can be and the Brazilian should tear him up on the feet. Thoughts: Cynthia Calvillo’s been written off after her loss to Carla Esparza, but I’m not ready to call her a bust yet. Poliana Botelho is a beast — she came up flat in her debut against Pearl Gonzalez, but absolutely crushed a woman in Syuri Kondo whom I’d pegged to beat her handily. Her power is something to behold and she’s four inches taller than Calvillo, but she’s also such a wild striker that it opens the door for Calvillo to get inside and work her wrestling. The Brazilian hits too hard to recommend a big bet against her, but I do think the American gets back on track Saturday night. Action potential, some fresh faces, and a reasonable start time combine to make a solid event. Catch it with us on Saturday, Maniacs. Ultimate Fighting Championship (UFC) is bringing a bevy of “Prelims” fights to both UFC Fight Pass and FOX Sports 1 this weekend (Sat., Nov. 17, 2018) when UFC Fight Night 140: “Magny vs. Ponzinibbio” storms Parque Roca Arena in Buenos Aires, Argentina. MMAmania.com’s Patrick Stumberg kicks off the UFC Fight Night 140 “Prelims” party with the first installment of a two-part undercard preview series below. We’ve got six “Prelims” undercard bouts to preview and predict this time around, two on Fight Pass and four on FOX Sports 1. Let’s start with the online section. Devin Powell (9-3) caught Dana White’s eye on “Lookin’ for a Fight,” setting up a debut against Drakkar Klose last year. After dropping decisions to Klose and Darrell Horcher, Powell overcame early adversity to finish Álvaro Herrera with body kicks in July. His victories are nicely split into three knockouts, submissions and decisions apiece. Jesus Pinedo (15-4-1) enters the Octagon on the heels of six consecutive victories, all of them stoppages. “El Mudo” has knocked out seven opponents overall and submitted four others. He replaces teammate Claudio Puelles on late notice. Powell has done decently well for someone with no visible athletic gifts whatsoever, but being a better version of John Gunther isn’t enough to succeed in UFC’s deepest division. Is it enough to at least get him past Pinedo, though? The Peruvian isn’t the most durable, but he looks to be quite a bit faster and more powerful on the feet, not to mention decent at defending takedowns. Unless the short notice gimps him, he has the tools to exploit Powell’s lack of striking craft. Powell’s combination of durability and nonexistent striking defense earn him some lumps as Pinedo’s quick hands tattoo him for 15 minutes. Nad Narimani (11-2) made the most of his second shot at Cage Warriors glory by dominating Paddy Pimblett to earn the promotion’s Featherweight title. He was supposed to make his UFC debut in March, but ultimately took on German prospect Khalid Taha in July, taking a decision over the hometown fighter. “Smiler” has submitted five opponents and knocked out two others. Anderson dos Santos (19-6) opened his career 12-1, but ran into a 4-4 stretch that saw him submit Ricky Simon for the Titan FC Bantamweight belt amid losses to the likes of Andrew Whitney and Said Nurmagomedov. “Berinja” has picked up two consecutive victories since succumbing to veteran Victor Henry, most recently pounding out Wanderlei “Mexicano” in July. He steps in for the injured Sergio Giglio, who himself stepped in for the injured Enrique Barzola, on a week’s notice. dos Santos is no joke despite his relatively recent struggles, boasting solid takedowns and submissions. The issue here is that he’s moving up from Bantamweight to face a big, powerful Featherweight in Narimani with a similar, but far more complete skillset. The Brit can more than hold his own in the wrestling and figures to be the more potent striker by far. Trying to muscle around Narimani is going to be downright exhausting, and dos Santos has been finished in five of those six losses. Expect the Brazilian to try to push the pace early, only for Narimani’s takedown defense and punching power to wear him down until he leaves his neck open. Four more UFC Fight Night 140 “Prelims” undercard bouts to preview and predict tomorrow, capped off by a clash of Welterweight grinding specialists. See you then, Maniacs! Remember that MMAmania.com will deliver LIVE round-by-round, blow-by-blow coverage of the entire UFC Fight Night 140 fight card this weekend, starting with the Fight Pass “Prelims” undercard bout at 7 p.m. ET, followed by the FOX Sports 1 “Prelims” undercard bouts at 8 p.m. ET, before the main card start time at 10 p.m. ET on FOX Sports 1. It appears that Maryna Moroz will not be able to welcome Ariane Lipski to the Octagon at UFC Fight Night 140. One of the world’s top female flyweights will make her UFC debut in November. The card for the Ultimate Fighting Championship’s first-ever visit to Argentina is filling up rapidly, as the Las Vegas-based promotion recently confirmed a number of bouts for the Nov. 17 event.